The air freight peak season is around the corner and everyone is getting ready, but capacity alone will not save the day this year, smooth operations on the ground will be equally important. Panalpina is expanding its Perishables Network to South Africa. 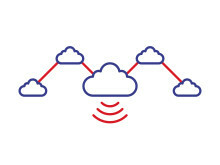 The company is to acquire a majority stake in perishables specialist Skyservices. With the latest acquisition, Panalpina sets foot in a strategic market with its own presence in Johannesburg and Cape Town. The move will enable end-to-end solutions for perishables from South Africa to Europe, the Middle East, Far East and the USA. E-commerce is the fastest growing sector driving global air freight volumes. Panalpina's global head of Air Freight, Lucas Kuehner, explains Panalpina's approach to air freight for e-commerce, and what it takes to be successful in that business where nothing can go wrong - while making sure that regular air freight customers do not lose out on capacity come the peak season. Panalpina continues to expand its global Perishables Network in South America. The international freight forwarding and logistics company is to acquire Newport Cargo S.A., Argentina’s air freight market leader and perishables specialist. The acquisition is geared towards end-to-end solutions for perishables and will increase Panalpina’s foothold in Argentina and neighboring countries. As of today, May 18, 2018, Panalpina has added Querétaro International Airport (QRO) in Mexico to the “Speedy” loop of its Charter Network, which also connects Mexico City (MEX) and Guadalajara (GDL) with Panalpina’s air freight gateway in Huntsville (HSV), Alabama. Panalpina is the only freight carrier to serve three international airports with scheduled flights within and out of Mexico. Panalpina and Dutch authorities gave a Jordanian delegation, headed by His Majesty King Abdullah II, a guided tour of ground-handling operations at Schiphol Amsterdam Airport. The program highlighted Europe’s third largest cargo gateway and an innovative logistics model that works fast even when dealing with fresh produce. Topics covered were inspections, security, customs, speed and efficiency. 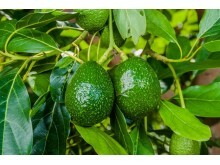 Airlifting 42,000 kg of frozen guacamole from Mexico to the UK in ten shipments over a six-week period might seem odd. Why ship frozen food by air? If the customer was happy with having the product sent over six weeks, wouldn’t a single shipment by ocean be more reasonable? 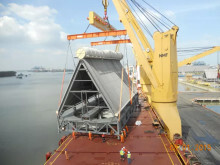 Panalpina is to acquire the Belgian companies Adelantex and AD Handling, specialized in the handling of perishables imports in Brussels, Liège and Ostend. The move follows similar acquisitions in Germany and the Netherlands earlier this year. This latest transaction involving Belgium’s market leader will further strengthen the Panalpina Perishables Network and the company’s end-to-end offering. Panalpina is expanding its Perishables Network into Germany. Panalpina has entered into an agreement with the Cool Chain Group, Germany (CCG), taking over business and a team that is specialized in international air freight and the import of perishables. The deal will further strengthen the Panalpina Perishables Network in Europe and the company’s global end-to-end offering for fresh produce. 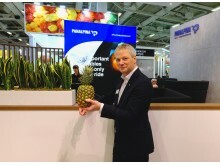 Panalpina is to acquire the Dutch company Interfresh Airfreight Handling. 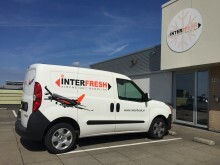 Interfresh specializes in the customs clearance and last-mile distribution of imported perishables from Africa, Asia-Pacific and Latin America. With this acquisition, Panalpina takes another significant step in building its global Perishables Network and offering complete end-to-end solutions on a global scale. Panalpina has reached a new milestone in the roll-out of its single warehouse management system JDA across all of its logistics facilities around the world. The 50th site went live with JDA WMS in France. Shortly before that, JDA WMS was implemented at facilities in the USA and Belgium. The sites in Newtown and Brussels are part of a global distribution network for the healthcare customer IBA. 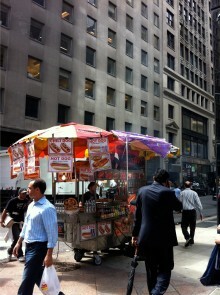 Chicago is not New York. Evidently. So last year, when Panalpina decided to serve its JFK air freight customers from its Chicago office, it created a bit of a stir. People asked: Are you shutting everything down at JFK? Will you do no more air freight out of New York? Well, five months down the road, quite the opposite is the case. With the 76 ton subsea tree successfully loaded and secured in the hold beneath him, loadmaster Yrii Rudko’s job was done for now. 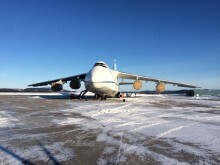 Sitting in the cabin at the back of the An-124, seat belt fastened, he could feel how 400 tons of mighty flying equipment and cargo accelerated down runway 34 at Senai International Airport in Malaysia. This is part III of Panalpina's "Christmas tree" story.